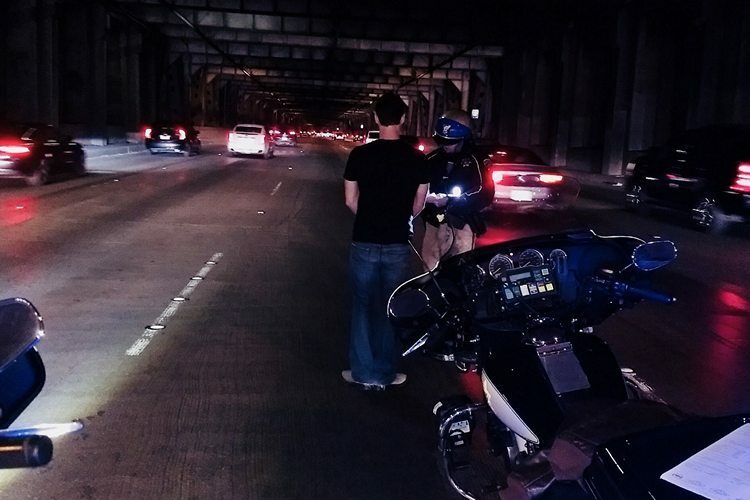 The current implementation of the autopilot feature in the Tesla vehicles is only meant as a driver-aid and not as a replacement for human drivers, but that didn’t stop one young man in San Fransisco from claiming that it’s perfectly OK to take to the wheel of his Model S in an inebriated state. The incident happened last Friday when officers from the California Highway Patrol (CHP) walked up to a car parked in the middle of the Bay Bridge, where they found an unnamed man fast asleep in the driver’s seat. Once he was woken up from his drunken slumber, the reason for his drowsiness was pretty clear to one and all. As it turned out, he had a blood alcohol level that was more than twice the legal limit for operating a motor vehicle in the city. Realizing that he was in a spot of bother, the man apparently tried to wriggle out of the situation by claiming that nobody was ever in any danger because the car was “on autopilot”. Much to his dismay, though, the CHP didn’t have any of it, and promptly arrested him for suspected DUI. The agency later posted an account of the incident on Twitter. The man may get points for ingenuity from some quarters, but drunk-driving is no laughing matter, with over 10,000 people said to die in alcohol-related road accidents every year in the U.S. alone. Meanwhile, in case you’re unaware, Tesla’s autopilot feature only works as long as the driver touches the steering at least once every two minutes, failing which, the car just slows down, eventually coming to a halt. However, even that system is far from perfect, as a fatal crash proved in 2016. The man killed in that much-publicized crash was Joshua Brown, a former Navy SEAL, who put the car on autopilot and apparently only had his hands on the steering wheel for a grand total of 25 seconds during the 37-minute trip that turned out to be his last.